Joe. Mike. Tokyo. Tokyo Disneyland. Tokyo DisneySea. Tune in. Turn up. 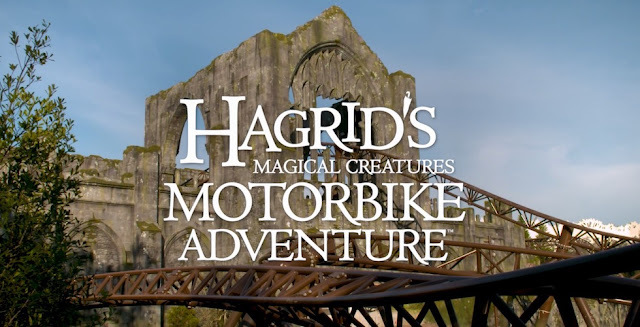 Universal's newest Wizarding World attraction, Hagrid's Magical Creatures Motorbike Adventure, opens in less than three months. This highly anticipated new coaster has remained largely undiscussed officially by Universal Orlando. In this article we will tackle the latest news, rumors, and speculation to paint a picture of what to expect when this attraction opens June 13. After the 2017 calendar year, I did the first annual "100 Coasters" retrospective. I had a banner year for myself, and discussing/reviewing 100 different roller coasters that I rode seemed like an interesting way to go about doing a review of the entire year in a nice, neat format. I didn't expect to have that kind of year in 2018 again: I started the year on the unemployment line, for starters. By the time it was over, I had actually surpassed my huge year with a monster 73 new coasters riden. Getting 70 coasters is super tough; it takes real effort. I was frequently at parks from March all the way through New Year's Eve. I visited 19 states, 2 Canadian provinces, and 5 European countries. From RMCs to Mountain Coasters to the ubiquitous SBF Visa Spinning Coasters that reproduce like rabbits, I saw a lot of stuff and I rode it too. Joe is joined by David Daut to talk about Stranger Things at Halloween Horror Nights(? ), Star Wars: Galaxy's Edge news and rumors, David's report from Evermore in Utah, Disney's acquisition of Fox and the theme park implications including Simpsons and Spider-Man at DCA, and then finally closing out with talk about theme park preservation with an eye towards Muppet-vision 3-D.